Archaeologists have discovered a Roman fort which dates back to the first century AD. This is only the third Roman fort ever to have been found in Cornwall and the team from the University of Exeter believes its location, close to a silver mine, may be significant in shedding light on the history of the Romans in Cornwall. The fort is situated next to St Andrew's Church in Calstock, south east Cornwall, and the site is on top of a hill in an area known to have been involved with silver mining in mediaeval times. BUILDERS working on the site of a new school have stumbled across what could be one of the most historic finds ever unearthed in Doncaster. Archaeologists have confirmed that an ancient burial site containing 35 graves could date back to the days when the area was occupied by Saxons then Vikings. The exciting find comes seven years after the discovery of the grave of a Viking woman who tests showed had travelled to Doncaster from Norway as an immigrant, proving for the first time that Vikings had settled in the area. The latest discovery, in the grounds of North Doncaster Technology College in Adwick le Street, is believed to be the only one of its kind in South Yorkshire and is attracting interests from archaeologists across the region. ROMAN FORT DISCOVERED - WERE THE ROMANS USING CORNISH SILVER? Archaeologists have discovered a Roman fort in Cornwall – only the third to have been found in the county, making it a rare and exciting find. It is also intriguing, given that the Romans were thought to have left the region largely to its own devices a few decades after the invasion in AD43. Remains of a furnace and the fort’s location close to a silver mine also suggest the resident occupiers could have been making use of the local mineral deposits. The fort, in Calstock, south-east Cornwall, was unearthed by a team from the University of Exeter following a geophysical survey. The survey revealed a familiar shape, very similar to the other Roman fort recently discovered in Cornwall at Lostwithiel. On commencing the dig, the instantly recognisable shape of a Roman military ditch confirmed the site as a Roman fort. New evidence of prehistoric life was discovered during excavations for a motorway improvement scheme in Merseyside. The archaeological findings date from the Mesolithic to the Bronze Age periods - about 5000 to 2000 BC. The team, working on excavations for a new link road at junction six near Huyton, also discovered Roman pottery and tiles that were made for the 20th Roman Legion based in Chester around 167 AD. Nick Johnson, the county's historic environment manager and county archaeologist who received an MBE in the Queen's 2007 honours list has been given the award by Prince Charles at an Investiture at Buckingham Palace. Nick, who lives in Devoran, helped to start the archaeology service in Cornwall in 1975. "It was a thrill to meet the Duke of Cornwall. We talked about his visit to Cornwall earlier this year to celebrate the Inscription of the World Heritage Site. I was able to tell him that the engine house which he visited at Holmbush Mine, near Kelly Bray had already been conserved and that the whole site was now available for public recreation," he said. Nick has been the county archaeologist since 1988. The work his department does now ranges from prehistoric monuments to World War Two pillboxes, from churches to chapels, from milestones to mines. Medieval bones were dug up yesterday by contractors working on a major improvement scheme for Oxford's Bonn Square. Staff from construction firm English Landscapes, hired by the city council to clear and level the site, found skeletal remains from the 14th century burial site. But the council said last night that archaeological work prompted by the discovery was not expected to hold up the building work, due to be completed this summer. A previously unkown Roman fort has been found at Calstock in Cornwall, one of only a handful of sites giving evidence of Roman presence in the county, and the first found close to a silver mine. Archaeologists from the University of Exeter say the site may be evidence the Romans mined tin in the county. The hill-top site where the first-century fort is in an area known to have been involved with medieval silver mining in the 13th and 14th centuries. University archaeologists became interested in the site when they found references in medieval documents to the smelting of silver at the old castle and next to the church in Calstock. Ertuğrul Günay was once a tourist with an interest in archaeology, but now he is the minister of culture and tourism. His priority for the ministry is to diversify Turkey's tourist destinations. He also wants to introduce an interactive format into Turkey's museums. He would like to see janissaries walking around Topkapı Place to make visitors feel the history, for example. Günay says Turkey is ready to cooperate with other countries in the field of tourism. "I was a tourist who was interested in archeology. I used to visit archeological sites with my family. Wherever I saw a yellow sign [indicating an archaeological site], I drove the car over there," Günay says. Recalling those days makes him smile. "Most of our family pictures are taken at those yellow sign places. But the kids are grown up now," he adds. ARCHAEOLOGIST John Collis will give his personal recollections of early excavations in Winchester at the city's Guildhall at 7.30pm on Wednesday, February 6 in aid of the Mayor's Charities. He is now Professor Emeritus of Archaeology at Sheffield University, and recognised as a leading expert on the European Iron Age, an outstanding excavator and author of books on both the Iron Age and practical archaeology. He caught the archaeology bug as a Winchester schoolboy in the 1950s and was involved in the first scientific excavations initiated by Mr Frank Cottrell, first as an avid spectator looking into the excavations in Middle Brook Street, and later accepted as a volunteer continuously working at weekends and during holidays. SCOTSMAN.COM are delighted to offer you an insight into Rosslyn Chapel. If you've read the book, intend seeing The Da Vinci Code in the cinema or you just want to find out what all the fuss is about, then these podcasts are for you. VISITORS flocked to Warkworth Castle in Northumberland after it starred in the new North East England TV campaign with an impressive 44 per cent increase in visitors to the castle in this week alone. 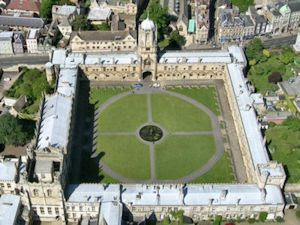 The English Heritage property featured in the new commercial promoting the region which launched on Monday, January 7. The footage including two children swordfighting in front of the castle was filmed back in September and will be broadcast across the world. Archaeologists working on the Highways Agency's M62 Junction 6 improvement scheme have uncovered 7,000-year-old evidence of Stone Age settlements at Huyton on Merseyside - the earliest signs of human activity ever discovered in the area. Now the Highways Agency is inviting to people to see some of the rare finds that have been discovered, which include 2000-year-old Roman pottery. Open days will take place on Friday 1 and Saturday 2 February. The open days will take place between 12.00 and 18.00 on Friday and 09.00 to 13.00 on the Saturday at the site office off Windy Arbour Lane. People will be able to find out about the work that has been undertaken at the site so far and about the Junction 6 improvement scheme itself. An historical site could be converted into a unique tourist attraction, but council leaders "lack the imagination" to make it happen, it has been claimed. Leicester Civic Society has criticised councillors for failing to begin work on Leicester Castle and its buildings, despite owning them for a decade. The castle was one of hundreds built across England by the Normans as part of their conquest of the country. The only buildings that remain are the Great Hall and John O'Gaunt's cellar. as well as the mound that the original castle would have stood on. Treasures unearthed from a giant Anglo-Saxon burial ground in the North East of England could have originated in Lincolnshire. Archaeologists have spent two years excavating a site at Loftus, near Middlesbrough, which is now thought to be a 'nationally significant' royal cemetery dating back to the 7th century. Among the jewellery, pottery and weapons discovered were two silver coins which would have been worn as pendants. Remnants of an ancient city from the Byzantine period have been found during surface excavations carried out in the Anatolian city of Çorum. The location of the ancient city Avkat has been determined to be within the borders of the Beyözü village in the Mecitözü district. Excavation works will start this year, said Mehmet Demir, an official from the Ankara Ethnography Museum. A team of 32 scientists from the United States, Britain, Italy and Switzerland and led by the Byzantine Empire expert, Professor John Haldon, carried out a three-week survey in August 2007 in Beyözü to determine the location of the ancient city of Avkat. AN ARCHAEOLOGICAL investigation to discover the secrets of Sunnyhurst Wood has got the go ahead. Darwen Local History Society has secured a £5,000 grant from the borough council to fund the archaeological assessment of the park's history by experts from Manchester University. The findings will then be made into a book for publication. Not much is known about the site near the park entrance, which was used as part of a Darwen's printing works more than a century ago. The remains of an Iron Age man found in a peat bog are leaving the British Museum for the first time in 17 years. Lindow Man was found in a Cheshire marsh in 1984, nearly 2,000 years after his horrific death. Chemicals in the bog preserved the body and researchers found his throat was slit and he was garrotted, possibly as a sacrificial victim. ARCHAEOLOGISTS have discovered the complete skeletons of eight Carmelite monks. The excavation in Northallerton, North Yorkshire, also revealed that the town's priory is unique, because its layout differs from all other known Carmelite priories and monasteries in Europe. Housing developer Castle Homes owns the site and will be building a residential development there. But it has given assurances that the design of the building will ensure the preservation of the archaeological remains and some of the stonework from the excavation will be incorporated into the new building. The remains of an Iron Age man found in a peat bog are leaving the British Museum for the first time in 17 years and moving to the Manchester Museum. Lindow Man was named after the marsh in Cheshire where he was discovered in 1984, nearly 2,000 years after his horrific death. Chemicals in the bog had preserved the body of the man, who died some time in the first century AD. Researchers discovered his throat had been slit, he had been rendered unconscious with two blows to his head and been garrotted, possibly as a sacrificial victim. The best-preserved "bog body" found in Britain will now travel on long-term loan to the Manchester Museum, where he will be closer to the spot in which he was found. A SCOTTISH Government campaign to house the historic Lewis chessmen north of the Border has been branded "a lot of nonsense" by UK Culture Minister Margaret Hodge. Footwear , it seems, has been fashionable for rather a long time. Toe bones from a cave in China suggest people were wearing shoes at least 40,000 years ago. Erik Trinkaus and Hong Shang, from Washington University in St Louis, Missouri, measured the shape and density of toe bones from a 40,000-year-old skeleton found in Tianyuan cave near Beijing. They compared these bones with those from 20th century urban Americans, late-prehistoric Inuits and other late-prehistoric Native Americans. Shoes alter the way a person walks. With a rigid sole the toes curl far less than when barefoot and less force is passed through the bones, leading to obvious differences in the three recent populations. "Modern shoe-wearing Americans have wimpy little toes," says Trinkaus. Barefoot native Americans have strong, large toes. Shoe-wearing Inuits lie somewhere in between. Lindow Man is to return to close to the spot where he met an appalling death almost 2,000 years ago, skull smashed in, strangled, stabbed, and finally dumped face down into the bog pool which preserved the evidence of his last terrible hours. He has been one of the star exhibits at the British Museum since his discovery in 1984 by peat cutters at Lindow Moss in Cheshire, transfixing visitors who gaze into his leathery, contorted face and startlingly preserved hair and eyelashes. The museum is now sending him on a year-long loan to Manchester Museum. "I am delighted people in the north-west will once again have the opportunity to meet this everyman of prehistoric Britain," said the London museum's director, Neil MacGregor. On monday, 21st september, the catalan minister of culture Joan-Manual Tresserras presented a Museums Plan than previews to close the national Archaeology Museum of Catalonia integrating its collections and staff in a new society museum, called Museum Catalonia. The Archaeology Museum of Catalonia was inaugurated in Barcelona in 1935. It was classified as national by the catalan Museums Law of 1990. It includes six stages: Barcelona, Girona, Empúries, Ullastret Olèrdola and the Catalonia's Undewater Archaeology Center. You can see an abstract of the plan here. And you can find the reaction of the archaeological community here. The culture minister has visited the British Museum in London in an attempt to have the historic Lewis chessmen returned to Scotland. The 13th Century figures were found on a beach on the Isle of Lewis in about 1830 and most are kept at the museum. Linda Fabiani asked the museum's deputy director to consider their return. The British Museum said the figures probably originated from Norway and had frequently been loaned to museums in Scotland. A PIONEERING new project aims to reveal archaeological treasures hidden in the Wyre Forest area by using laser beams shone from the sky to "see through" the trees. The new laser technology will help uncover everything from ancient settlements and fortifications to farms and any other signs of human activity which, especially in woodland, are often difficult to detect from the ground or the air with the naked eye. Scientists from the Forestry Commission's forest research agency have teamed up with the Worcestershire historic environment and archaeology service to use innovative aerial survey techniques, known as LiDAR - Light, Detection & Ranging. It uses pulses of harmless laser energy beamed down from aircraft flying about 3,300 ft up. UK CULTURE minister Margaret Hodge has dismissed Alex Salmond's demand for the Lewis Chessmen to be returned to Scotland as "nonsense". Writing in today's Scotland on Sunday, she accuses the First Minister of "creating conflict, not culture" with his call for the artefacts, found on a beach in Lewis in the 19th century, to be "seized" from their home in the British Museum in London. Hodge's intervention came as Scottish Culture Minister Linda Fabiani yesterday travelled to London to view the chessmen and met museum officials to discuss the artefacts' "repatriation". TV'S best known archaeologists met up with one of the academic world's most respected archeological figures for a unique programme to be broadcast later this year - and it all happened in and around Andover. Channel 4's Time Team are best known for their popularising of archaeological excavations, often done against the clock while Oxford University Professor Sir Barry Cunliffe is renowned for his painstaking professionalism returning to sites for lengthy examinations over a course of years. Under normal circumstances their paths wouldn't cross but in a special programme Time Team's Tony Robinson is seen interviewing Sir Barry at Danebury. Filming also took place at Andover's Museum of the Iron Age on a Sunday, members of Andover's museum committee were told. ARCHAEOLOGISTS plan to save a fine example of a Bronze Age burnt mound from disappearing into the sea in a unique £70,000 removal operation on Shetland this coming summer. Islanders discuss the burnt mound project on Bressay - Photo: Courtesy Council for Scottish Archaeology.Historic Scotland has given permission for the site at Cruister, on Bressay, to be shifted to the islands’ heritage centre. The unprecedented project will see the prehistoric version of a water heater, a third of which has already been eroded by the sea, dismantled and rebuilt in fully functional order. Barbara Anderson, of Bressay Heritage Centre, said it was highly unusual to be allowed to tamper with an ancient monument in this way. “In this case we are being allowed to remove it. Normally you would not be able to touch things like this,” she said. NICOSIA, Cyprus - Marine archaeologists will begin work in June to uncover the sand-buried hull of a 2,300-year-old ship thought to have been ferrying wine when it sank off the coast of Cyprus, researchers said Thursday. The ship, dating from the fourth century B.C., is one of only a few to have been found so well-preserved, and it may shed light on the nautical and economic history of the period in the east Mediterranean, said Stella Demesticha, a University of Cyprus visiting marine archaeologist. Underwater photographs from initial surveying dives in November show dozens of amphorae — large terra-cotta vases used in antiquity to transport liquids and solid foodstuffs — lying on the seabed in the shape of the ship. People started wearing shoes around 40,000 years ago, according to a study on recently excavated small toe bones that belonged to an individual from China who apparently loved shoes. Most footwear erodes over time. The earliest known shoes, rope sandals that attached to the feet with string, date to only around 10,000 B.C. For the new study, the clues were in middle toe bones that change during an individual's lifetime if the person wears shoes a lot. "When you walk barefoot, your middle toes curl into the ground to give you traction as you push off," explained co-author Erik Trinkaus, who worked on the study with Hong Shang. FEW of us realise we carry around in our bodies the seeds of our most distant past. But recent developments in science indicate that the analysis of the DNA of living people can shine a light on the earliest history of the human race. Professor Colin Renfrew, a leading archaeologist, will describe how advances in molecular genetics in the past ten years have improved our understanding of human origins in a lecture in Edinburgh on Monday, part of celebrations of the Society of Antiquities of London's tercentenary. Lord Renfrew has been described as having "an almost unequalled influence in the world of western archaeology". A former Disney Professor of Archaeology at Cambridge University, his recent books include Figuring It Out: What Are We? Where Do We Come From? and Prehistory: The Making of the Human Mind. Sie gewannen das Salz der Nordsee, bauten aufwendige Entwässerungssysteme, und schufen kleine Kunstwerke aus Glas. Ihre Elite ließ sich ähnlich reich bestatten, wie die keltischen Fürsten an Donau, Seine und Mittelrhein. Wer waren diese Menschen, die das eisenzeitliche Nordwesteuropa zwischen Rhein und belgischer Nordseeküste bewohnten und deren Siedlungen und Gräber viele Hinweise auf keltischen Einfluss geben - Kelten? Die Ausstellung „Das Geheimnis der Kelten“ will sich nun dieser Frage widmen. Erstmals werden im Rahmen eines internationalen Kooperationsprojektes seltene Objekte aus dem Rheinland, Belgiens und den Niederlanden vereint und in Nordrhein-Westfalen gezeigt. Zwei fast zweitausend Jahre alte Schuhleisten und ein "Flip-Flop"
Die Mitarbeitenden der Kantonsarchäologie staunten nicht schlecht, als sie vor wenigen Wochen bei Grabungen im römischen Oberwinterthur zwei gut erhaltene, hölzerne Schuhleisten ans Tageslicht beförderten. Dieser Fund ist einzigartig, da noch nie zuvor ein Schuhleistenpaar aus dieser Zeit in einem ähnlich intakten Zustand geborgen werden konnte. The latest Newsletter about the Havhingsten, or Sea Stallion replica Viking ship is now online. Henry VIII's flagship Mary Rose will be reunited with thousands of objects spilled from her shattered hull in 1545 through a £21m grant for a new museum. It is the last major heritage lottery grant before the fund is slashed to help pay for the 2012 Olympics - but the trustees also dug into reserves and found £10m for the Cutty Sark after the fire which gutted the 19th-century ship last year when restoration work had already started. The grant means work can start again soon. he world's last surviving 16th Century warship has been awarded a £21m grant. Henry VIII's flagship the Mary Rose, housed at Portsmouth's Historic Dockyard, was raised from the bottom of the Solent, in 1982. Fears the national treasure would be sold for firewood if the funding bid failed clouded the 25th anniversary of the ship's raising last October. The Heritage Lottery Fund grant will be used to complete its conservation and build a museum around the vessel. One of the world's oldest surviving warships, the 16th century Mary Rose has been saved once again after being awarded a £21 million Heritage Lottery Fund (HLF) grant, amid fierce competition for funds. In July 2007, the Mary Rose Trust had been unsuccessful in its bids to secure HLF funding for the ship's preservation and a new museum designed by award-winning architects Wilkinson Eyre. After the latest announcement, with plans now going ahead, the cash injection will also bring 19,000 rare artefacts, found with the ship, under one roof for the first time and allow completion of a 26 year conservation project. The Hampshire based Tudor warship Mary Rose has been given a £21 million lifeline by the Heritage Lottery Fund. The money will enable further conservation work on King Henry VIII's flagship, the Mary Rose, and enable the ship and thousands of artefacts raised from the sea bed to be housed under one museum roof for the first time in Portsmouth. Dame Liz Forgan, chairman of the HLF, said: ''The Mary Rose is an amazing time capsule and one of our most precious heritage icons. ''Many of us remember the moment when the ship was found and subsequently raised from the Solent's sea bed. The Sea Stallion from Glendalough, a 30 metre Viking Warship recently featured in a BBC One documentary, has benefited from a 2 million Kronor donation from the Shipowner Carston Brebol Foundation. This follows an earlier DKK 2m donation, made last year by the foundation. The director of the Viking Ship Museum in Roskilde, Tinna Damgard-Sorensen, said "We still have a lot of funds to raise if we are to fulfil our own ambitions for the project and the voyage, so the wonderful donation from the Shipowner Carsten Brebol Foundation will not make us stop fund-raising - it just gives us all tremendous motivation to make more efforts to find the rest of the money. We know it's out there somewhere! 1.9 million people tuned in to a BBC Timewatch programme charting the Sea Stallion's progress as it sailed from Roskilde in Denmark to Dublin in 2007. The Viking Ship Museum has announced that the vessel will leave Dublin on 30th June this year and return to Roskilde, via the south coast of England. Two 'national treasures' are to receive major funding in the latest round of Heritage Lottery Fund awards. The 16th-century Mary Rose, raised from the bed of the Solent 26 years ago, is to receive £21million towards the final stage of its conservation, in which the remaining hull will lose a third of its weight in water, and a purpose-built museum in Portsmouth's Historic Dockyard. This will for the first time since the recovery bring the ship together with the majority of the impressive collection of artefacts which were also recovered. The present museum only has space to display some 6 per cent of these. The Cutty Sark has been awarded a £10million grant increase to cover damage caused by the fire last May. It follows an original restoration grant of £11.75million made in September 2006. NICOSIA, Cyprus - Marine archaeologists will begin work in June to uncover the sand-buried hull of a 2,300 year-old cargo ship thought to have been ferrying wine from the Aegean island of Chios before it sank off Cyprus' southern coast, researchers said Thursday. The vessel, dating from the late Classical period (mid-fourth century B.C.) is one of only a few such ships to have been found so well-preserved, said University of Cyprus visiting marine archaeologist Stella Demesticha. "The shipwreck looks very promising about shedding light on the nautical and economic history of the period in the east Mediterranean," Demesticha told the Associated Press on Thursday. Two “extremely important” gold coins that shed light on a little-known rebel Roman emperor from the 3rd century AD have been unearthed by a farmer in the Nottinghamshire and Derbyshire area. They relate to the Roman commander Carausius, who declared himself Emperor of Britain around 286 or 287 after the Emperor in Rome ordered his execution. He was overthrown in a coup d’état by his finance minister, Allectus, in 293. The coins were handed in to the Portable Antiquities Scheme and moved to the British Museum. The scheme is facing a freeze in funding, despite recording more than 314,000 discoveries that have revealed many new archaeological sites. The farmer’s identity is not being revealed because archaeologists are to explore the site. Ancient pottery found at an altar used by ancient Greeks to worship Zeus was actually in use at least a millennium earlier, new archeological data suggest. The pottery shards were discovered during an excavation last summer near the top of Mt. Lykaion in southern Greece. The finding, which dates back to 3000 B.C., indicates that the tradition of divinity worship on the site is very ancient and may even pre-date the introduction of Zeus into the Greek world, said David Gilman Romano, a researcher at the University of Pennsylvania Museum of Archaeology and Anthropology and co-director of the excavation project. "We don’t yet know how the altar was first used, and whether it was used in connection with natural phenomena such as wind, rain, light or earthquakes, possibly to worship some kind of divinity male or female or a personification representing forces of nature,” Romano said. Just to prove this theory to you, we’ve gathered twenty-five amazing castles from around the world for your perusal. This selection represents some of the most intriguing castles in Europe, the Middle East, Asia, North America, and from around the world. The oldest castle is being restored in Iran after an earthquake destroyed eighty percent of its buildings. A British scientist has found evidence linking the catastrophic collapse of a glacial ice dam in Canada more than 8,000 years ago and the rapid spread of agriculture across Europe around the same time. The dramatic discharge of freshwater from prehistoric Lake Agassiz - which covered much of Central Canada at the end of the last ice age - has long been blamed for altering global climate patterns and raising sea levels around the world by at least a metre in a matter of months. The deluged shorelines caused by the colossal Canadian gusher have even been associated with the "great flood" myths common to many ancient cultures - including the biblical story of Noah's Ark. Now, University of Exeter geologist Chris Turney believes he has traced the sudden proliferation of farming across neolithic Europe to an exodus of coastal people moving inland to escape the results of the Agassiz flood. Location: Alaska Length: 30 min. After the discovery of 10,000 year old human remains in On Your Knees Cave on Prince of Wales Island, Alaska, a unique partnership formed among the Tongass National Forest, scientists and Alaska Native tribes to learn about this ancient person. The groups, brought together through the Native American Graves Protection and Repatriation Act, worked to unravel the secrets of the early man and learn from each other. After this production, DNA analysis from these remains produced strong evidence of early human coastal migration into the Americas. STUNNING Anglo-Saxon jewellery discovered on a North-East farm will not be lost to the British Museum, in London, it was pledged yesterday. The Government quashed fears of a battle to display the Loftus Saxon treasures to parallel the bitter row over the Lindisfarne Gospels. Instead, Culture Minister Margaret Hodge vowed that the collection, found at a burial site uncovered last year near Loftus, east Cleveland, would go on show in a North-East museum. China hails "greatest discovery since Peking Man"
BEIJING (Reuters) - An almost complete human skull fossil that could date back 100,000 years has been unearthed in China, state media said on Wednesday, hailing it as the greatest discovery since Peking Man. Last month's find in Xuchang, in the central province of Henan, was made after two years of excavation just as two archaeologists were leaving for the Lunar New Year break, the China Daily said. "We expect more discoveries of importance," Li Zhanyang, archaeologist with the Henan Cultural Relics and Archaeology Research Institute, was quoted as saying. The fossil consists of 16 pieces of the skull with protruding eyebrows and a small forehead. Laser technology is being used to locate potential archaeological sites hidden by woodland in Worcestershire. The hope is that ancient settlements and farms across the Wyre Forest will be detected by lasers fired from aircraft 3,300ft (1,000m) up. The results are processed by computers and turned into images of the ground, currently hidden by trees. One expert said the process offered a "tantalising glimpse" of a very dynamic landscape. Rare Anglo-Saxon treasures discovered in a Teesside field will almost certainly be allowed to remain in the area, the government has said. Gold jewellery, weapons and clothing were found at a 109-grave cemetery, near Redcar, believed to date from the middle of the 7th Century. Excavations were carried out after freelance archaeologist Steve Sherlock studied an aerial photo of the land. Culture Minister Margaret Hodge said the find would not end up in London. A coach driver discovered Britain’s largest hoard of Bronze Age axeheads while waiting for a party of school-children at a Dorset farm. Tom Peirce, 60, asked the farm’s owner if he could use his metal detector in one of the fields during his lunchbreak. Within minutes he heard a loud beep and found part of a bronze axe. Over the next three days Mr Peirce and two other metal detectorists unearthed more than 500 items of Bronze Age metalwork, including 268 complete axeheads. The axes, buried at three separate locations more than 50 metres apart, could be worth tens of thousands of pounds, which Mr Peirce would share with the farm’s owner, Alfie O’Connell. Axeheads were used as a form of currency during the Bronze Age, about 3,000 years ago, but some experts believe that the hoard may have had some ritual significance such as an an offering to the gods. An amateur treasure hunter has unearthed a hoard of bronze age axe heads thought to be worth about £80,000. Tom Peirce started combing a field with his metal detector after dropping off a school coach party at a farm. Within a few minutes it began beeping and he found the first axe head fragment 10in into the soil. When he dug deeper, Mr Peirce found dozens more and, over the following two days, he and a colleague, Les Keith, uncovered nearly 500 bronze artefacts dating back 3,000 years. An archaeological find in Aberdeen will be the subject of a discussion in the city tomorrow.The wooden structure, found late last year near the harbour and thought to be a jetty or pier, could date from the later mediaeval period. Archaeologist Stewart Buchanan will deliver the illustrated presentation at the Maritime Museum in Shiprow between 12.30pm and 1pm. A question-and-answer session will then follow, allowing the audience to explore the wider archaeological context of the find. A BUS driver is in for a bumper pay day after unearthing one of the largest ever hoards of Bronze Age axe heads with his metal detector. Tom Peirce, an amateur treasure hunter from Ringwood, started combing a field after dropping off a school coach party at Putlake Adventure Farm, near Swanage. Within a few minutes the device began beeping and the 60-year-old dug 10 inches into the ground to find a partial axe head. He realised he had struck it lucky when he dug deeper and found dozens more. Over the next two days he and colleague Les Keith uncovered nearly 500 bronze artefacts dating back 3,000 years. Cowdray Ruins opened to the public on Saturday, at last taking its place among the major historical attractions for tourists visiting West Sussex. The £3.6m Cowdray Heritage Trust project to conserve the remains of the noble 16th century Tudor manor house, all but destroyed by fire in 1793 and two centuries of decay, has finally achieved its ambition after 11 years of planning and two years of specialist conservation work. The conservation has been backed by organisations including the Cowdray Estate, English Heritage, the Heritage Lottery Fund, West Sussex County and Chichester District councils, Midhurst Town Council and Easebourne Parish Council. More than 3,000 people took advantage of the free opening day, 1,000 of them joining a procession through the town. Human remains believed to date back at least 500 years were found by road workers near Ronaldsway last week. The gruesome discovery, believed to be part of a Christian burial site, was made on the New Castletown Road between Ronaldsway Airport and King William's College. Police press officer Phil Shimmin said officers were called to the scene at 11.45am on Wednesday when Department of Transport workers found a bone and what appeared to be a gravestone. ROME – An ancient tannery in the archaeological complex of Pompeii, a city destroyed by a volcanic eruption in the first century, will be restored, officials said Monday. The tannery – discovered in the 19th century and excavated in the 1950s – includes water pipes, 15 round tubs and the tannery manager's house, archaeological officials said. A drying area is also believed to have been part of the complex. Restoration of the tannery, which is believed to be among the world's most ancient, is expected to start this year, the statement said. Student Adam Spring is changing the way we see Cornwall's history. Originally from Penryn and now studying for a PhD with the University of Exeter on the Tremough Campus, Adam is using high definition scanning to produce digital recreations of heritage sites. Adam's PhD focuses on developing ways of using laser scanning techniques in archaeology. He has created scans of several sites in the county, including the Rialton Stone in the Royal Cornwall Museum, the Mabe Cross, Rough Tor, Bodmin and sections of the Gwithian coastline. These scans provide lasting records of these unique sites, helping to preserve Cornwall's history. Adam grew up in Penryn before moving away to study Archaeology at Bristol University, where he achieved an undergraduate and masters degree. He moved back to Cornwall in 2005 and is now studying part-time so he can earn money to fund his PhD. He is hoping to get external funding to support his studies and achieve his aim of completing his PhD within three years. 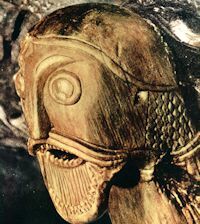 HIGHLANDS and Islands SNP MSP Dave Thompson has welcomed First Minister Alex Salmond's calls for the "repatriation" of the Lewis Chessmen as being a positive sign for the return of Shetland's St Ninian's Isle treasure. Mr Thompson has been working closely with the campaign, backed by The Shetland Times, to secure the return of the St Ninian's Isle Treasure to a display in the new Shetland Museum, and said that this sends a welcome message of support to all local museums. Mr Thompson has written to both culture minister Linda Fabiani and National Museums Scotland director Gordon Rintoul regarding the plight of Shetland Museum, with copies also being sent to Mr Salmond's office. He said: "I am pleased the First Minister has decided to raise the matter of the Lewis Chessmen. I think it opens up an interesting debate on how we support our local museums. VISITORS to a Roman palace could be stopped from handling artefacts after 27 items were stolen by thieves. The artefacts taken from Fishbourne Roman Palace's new discovery centre include medieval jugs and a neolithic flint axe. None of the items is of great financial value, being worth about £3,800 in total, but they are irreplaceable to the museum. One of the stolen jugs was unearthed during an archaeological dig at the site of the proposed district museum in Tower Street, Chichester. The £3.5m discovery centre conducts daily tours during which visitors are allowed to handle artefacts. But David Rudkin, director of Fishbourne Roman Palace in Fishbourne, West Sussex, said this might have to be reviewed. ROME (AP) - Italy's campaign to recover allegedly looted treasures from museums and collectors worldwide is helping reduce the illegal international traffic of archaeological artifacts stolen from the country, officials said Thursday. Art thefts in 2007 were down by more than 10 percent compared to 2006, while illegal excavations decreased by four percent, said Gen.
Giovanni Nistri, who heads the art squad of the Carabinieri paramilitary police. «The figures show how, at the moment, international trafficking ... is surely declining,» Nistri said at a presentation of his unit's yearly report. «In 2007, the trafficking of archaeological items was more domestic and involved objects of less important quality. Italy is aggressively combatting the pillage of its archaeological and artistic treasures. Its efforts include seeking the return of hundreds of antiquities it claims were dug up clandestinely, smuggled out of the country and sold to top museums worldwide. So far, Italy has secured the return of dozens of Roman, Greek and Etruscan artifacts from museums including California's J. Paul Getty Museum and the Metropolitan Museum in New York. TYNEDALE could be in line for its biggest boost in tourism for decades. For an exhibition on the Roman emperor Hadrian is to follow the hugely successful Chinese Terracotta Army display at the British Museum in London. And experts are convinced this will lead to a huge upsurge in interest in Hadrian’s Wall and the rest of Tynedale. The news was welcomed with glee at Thursday’s meeting of Tynedale Council’s cabinet, when chief executive of Hadrian’s Wall Heritage, Linda Tuttiett, outlined the exhibition’s potential impact on the district. Medieval treasures could be buried beneath the site of Preston's £750m regeneration project, it has been claimed. Archaeologists think there could be relics from the "medieval and post-medieval periods, and perhaps even earlier" under the 30-acre site. Investigations are to start next month so that, should anything be found, it can be incorporated into the already delayed time schedule. Council bosses have stressed that the work is routine for a planning application of this size. Last year, a development was delayed when 30 graves, 12 of them containing virtually complete skeletons, were discovered off Marsh Lane. Archaeologists in Cambridge have unearthed the first hard evidence that an area of the city was occupied during the Bronze Age. The remains were found during a dig at Fitzwilliam College and probably belonged to a 3,500-year-old farmstead. The remains comprise a series of ditches, in which the team found pieces of antler, flint tools, pottery and animal remains. The items were discovered by the Cambridge Archaeological Unit. Clues as to when mankind really began living in urban patterns lie in the Neolithic layers of Çatalhöyük. Çatalhöyük is within the borders of Cumra district in the central Anatolian city of Konya and is only 10 kilometers away from the district. The discovery of Çatalhöyük by English researcher James Mellart in the beginning of the 1950s had vast repercussions for the scientific world. Mellart was trying to prove that the oldest agricultural towns were located not only in the eastern Mediterranean but also in central Anatolia when he ran into a big surprise. As a result of research conducted, Çatalhöyük was discovered to feature a permanent settlement pattern thousands of years ago. The surprise also raised many questions: Why were all the buildings attached? Why were the people able to enter their houses only through the roof? Archaeologists have unearthed the skull of a giant prehistoric rat that roamed South America four million years ago. The animal, believed to be the largest rodent ever to have walked the Earth, was bigger than a bull and weighed up to a tonne. The remains of the half-metre-long skull were discovered in a chunk of rock in Rio de La Plata on the coast of Uruguay. Experts led by Andres Rinderknecht at Montevideo's Museum of National History and Anthropology have named the new species Josephoartigasia monesi. World Heritage officials have lost their bid to prevent a clutch of "incongruous and unattractive" houses from being built next to Europe's largest prehistoric stone circle. They say the plan to build five three- bedroomed homes within the World Heritage Site at Avebury would unacceptably harm one of the Britain's most important ancient monuments. Their views were backed by Kennet District Council's conservation team which said the houses would be seen from the huge bank of the henge and other key locations within the historic landscape. First came Harry Potter. Now comes teenager Will Burrows, a boy archaeologist. Publisher Barry Cunningham of Chicken House, whose previous finds included J.K. Rowling, is on an international drive to promote two new authors, Roderick Gordon and Brian Williams, as the next hot item in children's literature. The pair co-authored "Tunnels," a fantasy novel about a teenager who finds a lost world deep under London, which became a best-seller in Britain last year with its film rights snapped up and the book now licensed for 34 foreign editions. New genetic evidence supports the theory that Christopher Columbus brought syphilis to Europe from the New World, U.S. researchers said Monday, reviving a centuries-old debate about the origins of the disease. They said a genetic analysis of the syphilis family tree reveals that its closest relative was a South American cousin that causes yaws, an infection caused by a sub-species of the same bacteria. "Some people think it is a really ancient disease that our earliest human ancestors would have had. Other people think it came from the New World," said Kristin Harper, an evolutionary biologist at Emory University in Atlanta. "What we found is that syphilis or a progenitor came from the New World to the Old World and this happened pretty recently in human history," said Harper, whose study appears in journal Public Library of Science Neglected Tropical Diseases. Tomb engravings dating back 6,000 years are among the latest discoveries unearthed on the route of a controversial highway under construction in Ireland. The historic site, at Lismullin in County Meath, was handed over to road builders last month, just weeks after the Stone Age art was found inside a medieval bunker. The engravings have been removed to allow construction of the highway to proceed. The new find follows the discovery last spring of a prehistoric open-air temple nearby, causing construction of the 37-mile-long (60-kilometer-long) M3 highway northwest of Dublin to be temporarily suspended (see map). The timber temple enclosure was found just 1.25 miles (2 kilometers) from the Hill of Tara, once the seat of power of ancient Celtic kings. Britain's own underwater "Atlantis" could be revealed for the first time with hi-tech underwater cameras. Marine archaeologist Stuart Bacon and Professor David Sear, of the University of Southampton, will explore the lost city of Dunwich, off the Suffolk coast. Dunwich gradually disappeared into the sea because of coastal erosion. "It's about the application of new technology to investigate Britain's Atlantis, then to give this information to the public," Professor Sear said. REMAINS of what was one of the biggest Roman bridges to be built in Britain have been reassembled on the banks of the River Tyne. The 50ft long and 10ft high reconstruction is opposite Corbridge Roman site in Northumberland and near the spot where the ornate stone bridge spanned the river. Excavations rescued stonework from the bridge which was threatened by river erosion. The bridge carried Dere Street, the main South-North road, over the Tyne to the important Roman fort and supply base at Corbridge – and was built accordingly. The excavations revealed that the bridge, built around 160AD, had between six and 10 arches and was probably highly decorated with columns, elaborate parapets, altars and statues of gods and the emperor and his family. A "hugely important'' medieval artefact was within minutes of being accidentally dumped before it was retrieved from builders' rubble. The stone carved bishop's head -- believed to date from the 15th century -- was rescued by amateur historian Seamus Lynch from the rear of a premises being renovated in Athenry, Co Galway. The head -- thought to have been used to adorn a nearby Dominican Abbey -- had lain undiscovered, set into a wall behind an old sweet shop in Athenry. But Mr Lynch finally managed to track it down and ascertain its whereabouts over Christmas. Before he had an opportunity to rescue it, fate intervened. Location: India Length: 3.5 min. With a lion’s body and a human head, the sphinx is a well known symbol of ancient art and myth. For the ancients, it was an elevated spiritual being, embodying secret knowledge and wisdom, that guarded sacred places. The most famous example is the Great Sphinx of Egypt, guarding the pyramids. Though it usually is connected with the ancient civilizations of Greece and Egypt, many depictions are found also around the Mediterranean and in the Middle East. But as seen in this video, the sphinx (or purushamriga) is also part of Indian art and tradition. 2005 was the first season of a highly successful collaboration between St. Louis Community College (SLCC) and archaeologists at the Museum of Skopje. The second and third seasons were conducted during summers of 2006 and 2007; both the second and third seasons were very successful. The fourth season will be conducted during the summer of 2008. We will be working side-by-side with Kiro Ristov (Skopje Museum) and approximately a dozen archaeology students from universities in the Republic of Macedonia. The program allows students to participate in exciting educational activities involving archaeology and art history. This is an international service learning project. Numerous field excursions will punctuate the academic program. Participants will earn six hours of academic credit. The course may be audited. Archaeologists have begun to search for hidden historical treasures on a site that will house a new Otley supermarket. The dig, pictured, on land behind the abattoir off Bondgate, earmarked for the new Sainsbury's superstore, began on Monday and is due to last for around five weeks. It follows an exploratory dig which uncovered evidence of habitation, including pottery and a surfaced footpath from Roman times. The West Yorkshire Archaeological Services team hopes to find more evidence to piece together a better picture of the early history of Otley. Our primitive cave-dwelling ancestors did not have to deal with dangerous dinosaurs, despite Hollywood portrayals to the contrary, but they did have to stay clear of saber toothed cats, dire wolves, giant man-eating birds of prey and cave bears a third larger than modern grizzlies. Scientists used to think cave bears were vegetarians that mostly fed on berries and roots. But, now bones from the Carpathian mountains suggest cave bears could have also been carnivores, and possibly even cannibals. Cave bears (Ursus spelaeus) are named after the places where their bones are commonly found — caves across Europe. They died out roughly 20,000 years ago, when ice dominated the Earth. HE air was thick with the stench of animals, the din of horses braying and traders raising the volume as they yelled to attract custom. It was market day and everyone would be vying to get the best prices for their goods in the square surrounded by ale houses. The rowdy scene would have been typical of market day in the Grassmarket in 18th-century Edinburgh. As far back as the late 15th century, it is known that the Grassmarket was a thriving place, where corn and livestock were bought and sold several days a week. Yet little was known about what happened in the area before that time – until now. Our ancestors had lots of predators and competitors to worry about — saber-toothed cats, dire wolves and even giant man-eating birds of prey. Now you can add cave bears to that list. These prehistoric giants were roughly a third larger than modern grizzly bears. Previously scientists thought cave bears were just vegetarians, evoking an image of gentle giants that fed solely on berries and roots. Now bones from the Carpathians — the mountains where Dracula supposedly dwelt — suggest cave bears could have also been carnivores, and possibly even cannibals. All roads lead to Rome, even virtual ones. A museum on Tuesday unveiled a virtual reconstruction of one of the bustling arteries that led into ancient Rome, allowing visitors to wander through rebuilt monuments and interact with the city's political elite. Using a concept similar to that of online virtual worlds, the project creates characters, or avatars, that roam the ancient Via Flaminia, exploring funerary monuments that lined the road, bridges and arches. They can also roam through the villa belonging to Livia, wife of Rome's first emperor, Augustus. The avatars also can switch between the splendor of ancient Rome and a virtual tour of the monuments as they look today: fragile ruins on the outskirts of the Italian capital. In this way, the project gives access to sites that are off the beaten track for tourists, difficult to visit or surrounded by the traffic of the modern-day Via Flaminia, which often overlaps the ancient Roman road, experts said. PREPARATIONS for this year's celebrations of Salisbury Cathedral's 750th anniversary have continued apace, with an archaeological dig taking place inside the cathedral to allow a new specially-designed font to be installed. The purpose of the dig is to ascertain whether the reservoir, pump housing, water supply and drainage for the new font, which was designed by William Pye, can be installed under the cathedral's floor. It is believed that when the main body of the Cathedral was completed in 1258 the nave may have been paved in Purbeck Marble. Records state that this was replaced in 1878, at a cost of £1250, during the restoration work undertaken by Sir George Gilbert Scott. The archaeological explorations being undertaken will investigate any surviving evidence of an earlier floor, record any burial features found below the floor and attempt to tie them to the adjacent ledger slabs, which themselves may have been moved when the floor was relaid in 1878. A 2,000-YEAR-OLD Roman fort has been uncovered on the site of a new £60 million water treatment plant. The remains of the camp were found during work on the Glencorse plant on the edge of the Pentland Hills Regional Park in Midlothian. It is hoped the find will yield clues on how the Romans organised their occupation of the area in the first century AD. The site is thought to be a Roman marching camp and is part of a network of bases, watchtowers and camps across lowland Scotland. Historians had suspected there were Roman remains at Glencorse from studying aerial photographs, but this is the first evidence to be found. Ein Klosterbuch für Schleswig-Holstein und Hamburg wird jetzt an der Kieler Universität geschrieben. Darin werden erstmals alle 48 Klöster, Stifte und Domkapitel in den ehemaligen Herzogtümern Schleswig, Holstein und Lauenburg und den Hansestädten Lübeck und Hamburg in einem Werk geschichtlich aufbereitet. Den zeitlichen Rahmen bilden die Anfänge der Christianisierung im 9. Jahrhundert und die Reformation im 16. Jahrhundert, in deren Verlauf die Einrichtungen aufgelöst wurden. A 2000-YEAR-OLD Roman fort has been uncovered on the site of a new £60 million treatment plant for the Capital's drinking water. The remains of the camp were discovered during preparations for the Glencorse works on the edge of the Pentland Hills Regional Park. It is hoped the find will give archaeologists further clues about how the Romans organised their occupation of the Lothians in the first century AD. The site is thought to be a Roman marching camp and is part of a network of other bases, watchtowers and camps across lowland Scotland. Historians had suspected there were Roman remains at Glencorse from studying aerial photographs, but this is the first actual evidence to be found. An ancient Roman pan, which was made sometime after AD 122 but was only uncovered in 2003, is to go on display at Arbeia Roman Fort on Saturday January 5 2007. Unearthed by a man using a metal detector in the Staffordshire Moorlands, the pan is a tiny cast copper-alloy bowl missing its base and handle and shows exceptional craftsmanship. It will go on display until April 27 2008 alongside a selection of enamelled finds from Arbeia, and staff hope it will offer visitors valuable insights into the history of Hadrian’s Wall as Alex Croom, Senior Keeper of Archaeology and Curator at Arbeia Roman Fort, explained. Archaeologists have found thousands of mainly metal historical items in a burnt down flat in Prague, Miroslav Dobes from the Academy of Sciences' Archaeological Institute, who is exploring the finds, has told CTK. The extensive collection includes prehistoric stone axes, Germanic bronze buckles, arrow tips, fragments of weapons, parts of armour as well as medieval spurs. Nevertheless, their scientific value is negligible since concrete localities where the finds come from are unknown. Dobes said the collection resulted from illegal activities of amateur "metal hunters" not only in the Czech Republic, but maybe in other central European countries. Furness home to Viking burial site? FURNESS archaeologists believe a metal detector enthusiast might have stumbled on an important Viking burial site after unearthing an ornate merchant's weight. The man was pottering around Low Furness farmland before Christmas when his detector's bleeping led him to a piece of lead 20cm beneath the soil, reports Jennie Dennett. When it was unearthed, a 70g weight, 42mm long piece inlaid with an ornate bronze and enamel design depicting what look like entwined mythic beasts and two men with crossed swords emerged. The pattern indicates that it dates back to between AD 1030 and AD 1130. It has already been described by The British Museum as a "remarkable" find and is setting Viking historians abuzz since it could challenge the textbook theories on the kind of Scandinavian raiders who put down their roots in Cumbria. Once a Roman stronghold where military features were part of the landscape, Wales’ National Roman Legion Museum at Caerleon will soon have a new, more floral and ornamental Roman feature. Work is underway on a new Roman style garden at the museum, inspired by gardens from around the Roman Empire with traditional elements such as pergolas, ornate raised flower beds, box hedging and frescoes. Can Ice Age art survive Man’s attempt to save it? The survival of the most important cave paintings in the world is in doubt because of a severe fungal infection that spread after an air-circulation system was installed to protect them, archaeologists say. The 17,000-year-old paintings known as “the Sistine Chapel of pre-history” - the Lascaux cave in the Dordogne region of southwest France - are being damaged by black spots that are spreading at an alarming rate. Fragments of the cave walls have broken off and some colour tones are fading. Now Unesco is sending a delegation of specialists to the cave to determine whether it should be placed on its World Heritage in Danger list. The paintings were discovered in 1940 by four teenagers who followed their dog into a large hole that had opened under the roots of a fallen pine tree. The extraordinary images of bulls, deer and horses have survived since the last Ice Age but are now being damaged by a bacterial and fungal infection. The deterioration is blamed on what the archaeologists describe as an “ill-conceived and disastrous” air-circulation system that was installed seven years ago. Neanderthals probably froze to death in the last ice age because rapid climate change caught them by surprise without the tools needed to make warm clothes, finds new research. Ian Gilligan, a postgraduate researcher from the Australian National University argues his case in the current issue of the journal World Archaeology. By the time some Neanderthals developed sewing tools it was too little too late, said Gilligan. Neanderthals began to die out just before the last glacial maximum, 35,000 to 30,000 years ago and were replaced by modern humans. Previous studies have argued that one of the key reasons for this is that modern humans had better hunting tools, providing them with the extra food they needed to survive the cold. ONCE they were spectacular resting places to honour the dead. But with pagan Britain's conversion to Christianity, the Bronze Age burial mounds came to be regarded with suspicion as places where devils and dragons lurked. It was at one such site in East Yorkshire that the Anglo-Saxons chose to bury the worst kind of criminals, away from hallowed ground, leaving their heads to rot on stakes. The latest archaeological techniques have now thrown a new light on an eerie cemetery – the only one so far discovered north of the Humber – where the decapitated bodies of executed criminals were laid to rest. AN unexpected historical discovery has been made at Scottish Water's site at Glencorse, near Penicuik — a Roman marching camp nearly 2000 years old. The revelation has provided another clue as to how the Romans organised their occupation of the Lothians. It had not been confirmed whether the site was, in fact, a Roman marching camp, which had previously only been suggested by aerial photographs. Scottish Water's stakeholder manager for the Glencorse Water Treatment Works Project Kenny Naylor said: "We carry out a detailed site investigation on all sites as a matter of course, and found a change in the soil when we were digging the ground. Dmanisi, Georgia - Back in 1991, when archaeologists first unearthed a human jaw bone in these rolling hills, few in the outside world had even heard of tiny Georgia. The idea that an ex-Soviet republic collapsing in civil war and poverty could be an integral part of the West was laughable. Then scientists determined the jawbone and dozens of other fragments to be at least 1.7 million years old - the earliest human remains discovered outside Africa and therefore, logically, the ancestors of all Europe and Asia. "It was a sensation," said Nana Rezesidze, an archaeologist from Georgia's State Museum, at the forested dig site, located on a hillside overlooking a grey-blue mountain river. Einen herausragenden Fund hat das internationale Team um Prof. Dr. Engelbert Winter von der Forschungsstelle Asia Minor der WWU Münster in der Südosttürkei gemacht: Die Forscher haben die erste bildliche Darstellung einer der wichtigsten orientalischen Gottheiten des Römischen Reichs, des Gottes von Doliche, in seiner Heimatstadt freigelegt. Der Fund ist für die Erforschung der Entwicklungsgeschichte des Doliche-Kultes von großer Bedeutung, da er eine Vorstellung davon vermittelt, wie der Gott in seiner Heimat selbst gesehen wurde.